HELLO - WHY THIS PAGE? Unit 2.1 -What is a Power? Unit 3.1: What is a Rational Number? P.A.T. 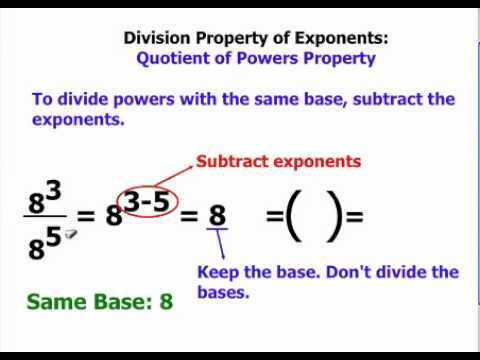 Prep - Quick Reference "Flashcards"
The second law of exponents, quotient of powers, allows us to divide powers of equal bases, Remember that "quotient" means division. 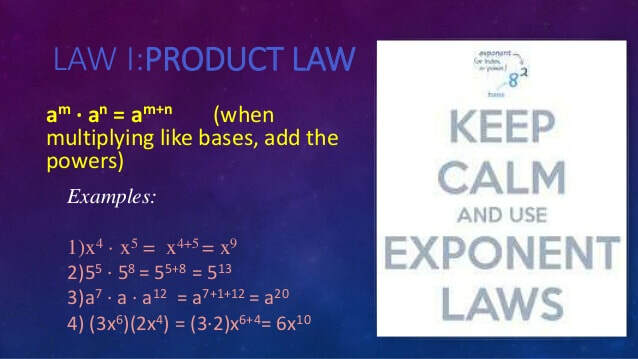 This law can be summarized as follows: When dividing powers of equal base, the exponents must be subtracted. 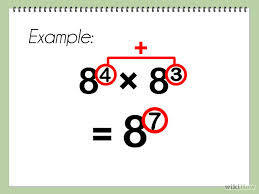 This is the opposite of multiplication, and if you think about it, it makes sense: To multiply means to increase in number (addition), and to divide means to break up (subtraction).